As I normally do when I’m gonna check out a restaurant, I like to go in the afternoon right after the lunch rush. This particular morning my breakfast consisted of a cup of coffee and some plain white toast which meant I was ready to go once I arrived at the new BurgerFi in Aventura. And by go I mean eat not leave. I stood and took in the menu just in case I had overlooked some new item on it online. Of course, I ordered the Classic Cheeseburger which includes 2 patties, 2 slices of American Cheese, & a slathering of their Secret Sauce (which the first time I had it, I didn’t care for). I opted to go lettuce and tomato-less as usual. There are also some “Free” toppings like Grilled Onions or Jalapeño Peppers and “Premium Toppings” like a Sunny Side Up Egg will set you back a $1. Those are all fine and dandy but this burger is just so good alone that you’d be doing some major van damage by doing that. I can also confess that I’ve never ordered any of the toppings, be it Free or Premium so what the hell do I necessarily know. Well…I have had Bacon. You gotta do what’s right for you but for me, Cheese & the Secret Sauce are it. After mourning over my fries I moved onto their Wagyu Chili Dog. Yes, the regular dog is good but pay a little more a get the way better-tasting dog. So ask me, I know you’re dying to. 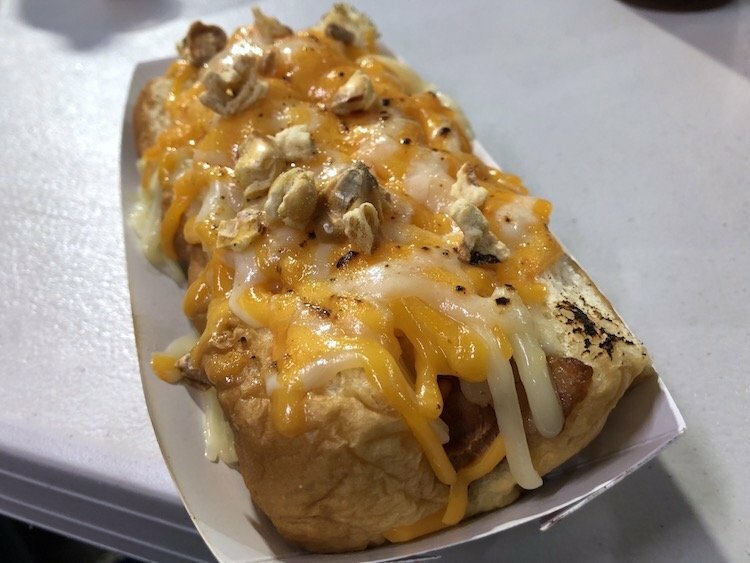 Why would I then add Chili & Cheese to this spectacular wiener? Cause I could. I did not order the Parmesan and Herb Fries with Garlic Aioli smothered on top off the Secret Menu but my friend did. He also ordered the VegeFi Burger served in Lettuce but this post is not the place for such blasphemy. The Fries looked great and there are a few other items on their “Secret Menu” you may want to know about and try. I’m not sure that it’s too secret but hey, to each their own. Now that BurgerFi is finally in Miami Dade County we need to find a way to convince them to open a little bit farther South like near my house.